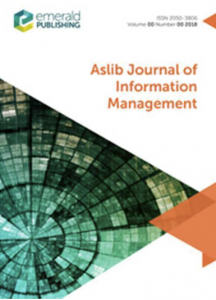 Emanuel Kulczycki published two papers in "Aslib Journal of Information Management"
The purpose of this paper is to determine the characteristic patterns of monographs in the humanities, social sciences and hard sciences published by Polish scholars. The study provides a comprehensive overview of the Polish book evaluation system to explain how monographs are assessed and illustrate how changes in the definitions of the types of scholarly book publications influence publication patterns. The purpose of this paper is to analyze the evolution in terms of shares of scholarly book publications in the social sciences and humanities (SSH) in five European countries, i.e. Flanders (Belgium), Finland, Norway, Poland and Slovenia. In addition to aggregate results for the whole of the social sciences and the humanities, the authors focus on two well-established fields, namely, economics & business and history.